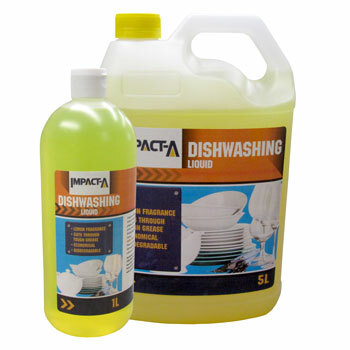 Impact-A Dishwashing Liquid has a fresh citrus scent. It has been formulated to cut through grease, and is a concentrated formula, so a small amount will get the job done quickly. Biodegradable and it has been proven to be soft on hands.